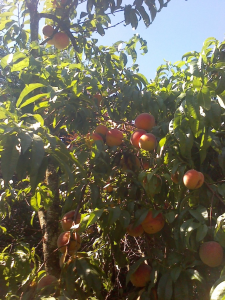 We have a beautiful old peach tree in our back yard who’s branches are literally breaking with the load of fruit. For the last few summers we’ve gotten very few because we had mischievous little boys living with us who like to try garden fruit before it’s ready, and also like to use it for throwing, or rolling, or who knows what. 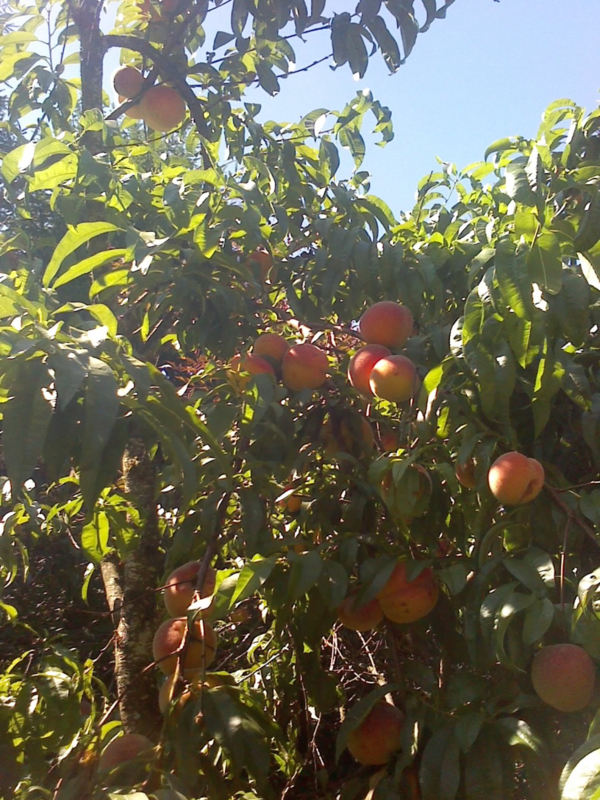 As much as we miss them, we are loving the peaches this year. I feel rich and abundant sharing produce with neighbors and friends, especially these sweet juicy delicious orbs of gold. 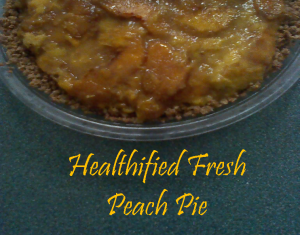 Besides freezing the somewhat misshapen or not-so-beautiful peaches, my chef daughter Angie and I have made healthified desserts. For peach crisp, she substituted whole grain flour and coconut sugar for the more refined versions. I made this scrumptious version of fresh peach pie, keeping half the peaches raw so as to keep the enzymes available to our bodies. Besides the nutrition benefits, we are in the midst of a 100º hot streak, so I don’t want to use the oven. On the stove, keeping the hood fan on while cooking keeps the heat out of the house. Here’s the recipe- though I didn’t use an exact amounts. I just know that generally a tablespoon of cornstarch or arrowroot powder thickens a cup of liquid to about pudding consistency. The pectin and fiber in fruit also add some thickness. Place 3 cups of the peaches and the sugar in a large saucepan and mash well. Heat to nearly boiling over medium-high heat. While stirring, mix in the cornstarch/water mixture and continue stirring until the mixture comes to a boil. 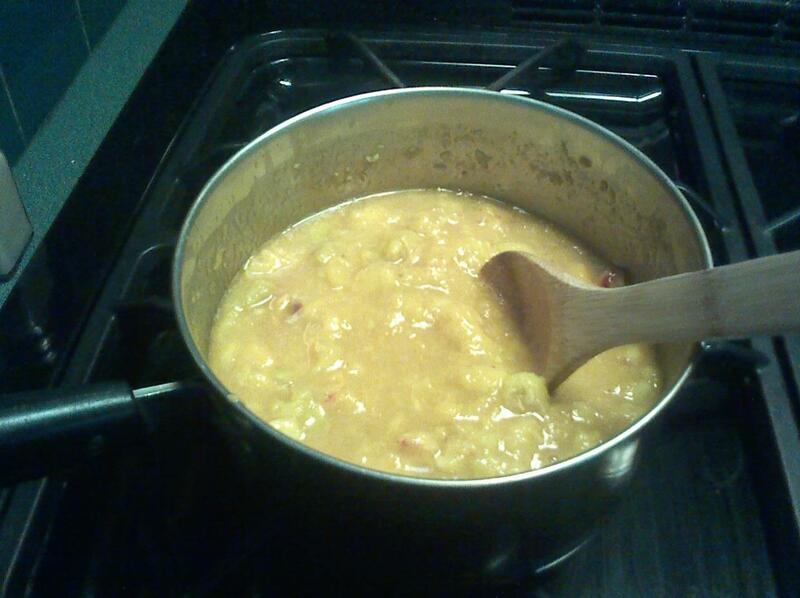 Boil for one minute or until thickened. 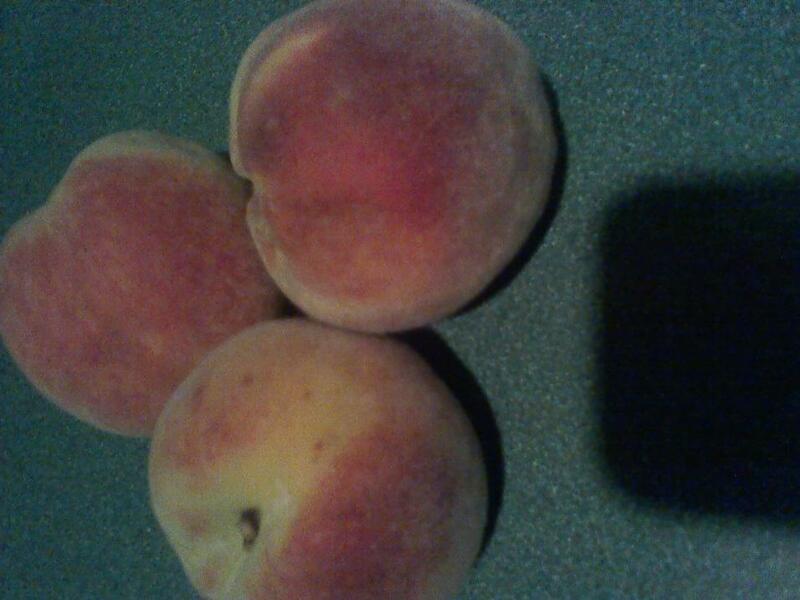 Remove from heat; add the rest of the sliced peaches and almond extract. Pour into prepared pie crust and refrigerate. Makes one 10” pie. Enjoy big, healthy pieces of a guilt-free dessert.